· In a large saucepan melt the butter, then add the onion and garlic and fry for five minutes until soft. · Add the turmeric and cumin seeds, and fry for a further minute. · Next add the lentils and fry for five minutes, stirring occasionally. · With a potato masher, crush the lentils until you have a creamy paste. 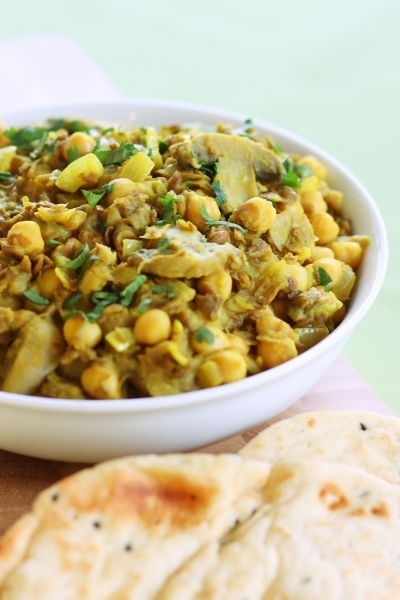 · Add the mushrooms and chickpeas, then allow the dhal to cook for a further five minutes. · Serve garnished with fresh coriander.